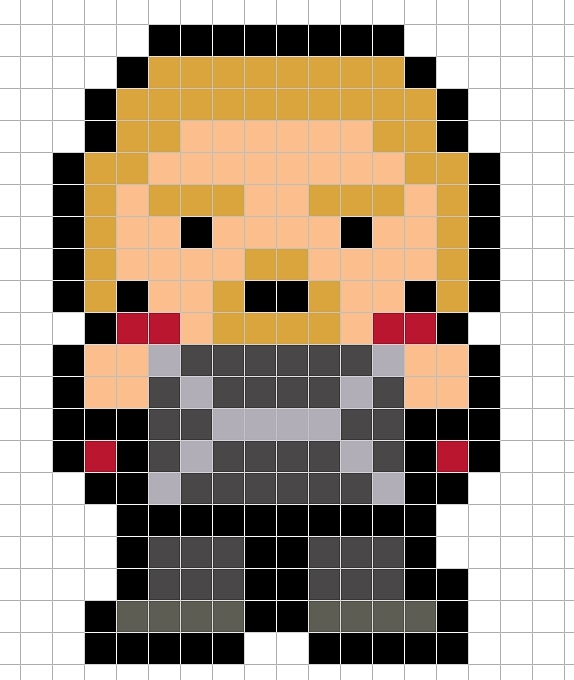 Shall have a cute, 8-bit finished cross-stitch of Thor. My oldest came up to me and wanted me to make her a little pattern of Thor for her to cross-stitch. (Excuse me a moment while I shed a Crafting Mama tear that my young one wants to cross-stitch.) I went online and looked for Thor 8-bit pictures. She picked out this one, but wanted me to modify it a bit (mostly, that he has his mouth and beard).